Happy Hump Day everyone! I'm sooo ready for the tail end of this week/the weekend! I have to admit, I absolutely love stripes. Striped shirts, skirts, dresses and even socks; stripes get me every time. Almost like polka dots. They are so classic and are such an easy pattern to incorporate into your wardrobe. 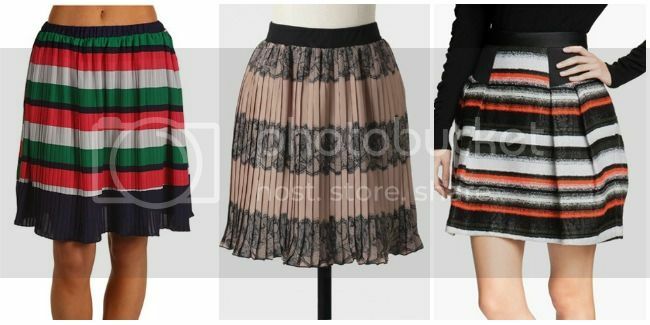 Below are my favorite striped skirts in shapes that work for all body types! 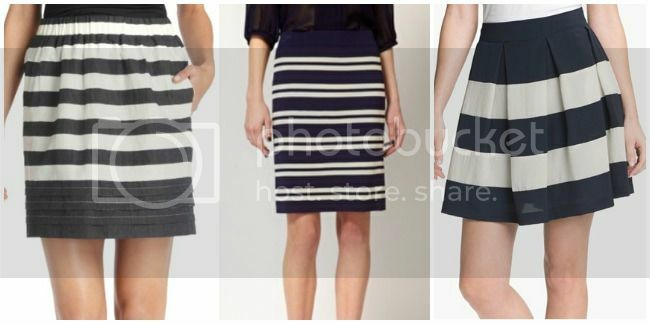 Tune in Friday and I'll show you how I styled my striped skirt!